I just found out I won a giveaway over at Joyful Mothering. Yeah, I'm so excited! I never win anything. This is perfect timing, since we have all just started working to revive our marriages. I have been watching all the posts on Facebook about The Husband Project but I haven't read the book yet, so I'm slightly in the dark. Christin Slade was giving away one of four different books on her blog. 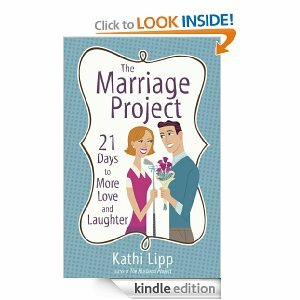 They all looked like helpful ideas, but God knew that I needed The Marriage Project most. I can't wait to get my hands on this & start using it!